Instruments for measuring the strength of a magnetic field in a single vector direction. Instruments for measuring three components of a magnetic vector. Equipment providing analogue conditioning, A/D conversion, magnetic field and vibration spectrum analysis, standalone signal conditioning and power supply. Instruments for measuring the gradient of magnetic fields, in a single vector direction or in X, Y and Z directions. 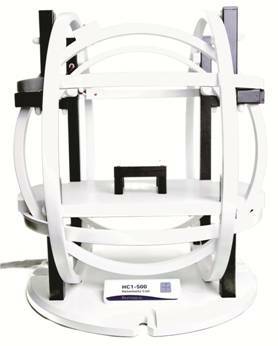 Instruments that facilitate magnetic susceptibility measurement in the laboratory or out in the field. A system for generating a magnetic field in one, two or three axes of known frequency and intensity. A range of equipment for preventing unwanted magnetic interference.